If tooth loss is affecting your oral health, Cyrus Bandary, DMD can provide you with complete or partial dentures that can make a dramatic improvement in your lifestyle. Dr. Bandary’s advanced training in prosthodontics allows him to offer several cost-effective denture options to patients in Woodland Hills and the extended Los Angeles area. With his expertise and knowledge of modern dental technology, he can fabricate the most advanced, comfortable, and aesthetic dentures right in his office. Are Dentures the Right Option for You? Increased use of cutting-edge materials has dramatically helped to improve denture fabrication. Not only are removable dentures comfortable and easy to care for, but they also fit better and allow you to smile with confidence. Dentures support ease of speech while improving function related to biting and chewing. 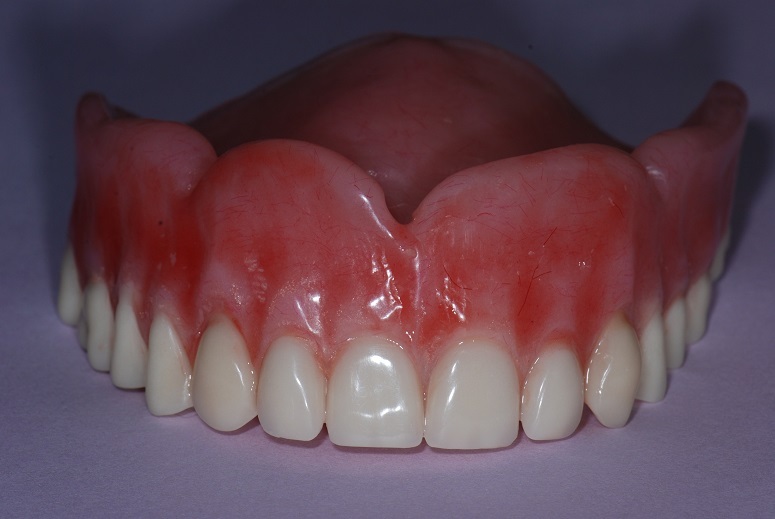 We offer complete and partial dentures, as well as implant supported dentures for those looking to avoid the challenges presented by a removable prosthesis. Every mouth is different and the type of dentures you need will depend on the condition of your overall dental health. Come in for a consultation with Dr. Bandary to discuss your oral and overall health to determine which treatment option will meet your goals. Complete Dentures: If you are missing all your natural teeth, complete dentures can restore an entire dental arch. We typically schedule several appointments to provide an accurate fit for your dentures and make adjustments as needed. Our team takes comprehensive measurements and impressions of your jaw to create a model of your denture. Before fabricating the final prosthetics, we can modify the measurements to help your new teeth feel comfortable and look natural. Partial Dentures: Partial dentures are used when patients are missing some, but not all, of their natural teeth. 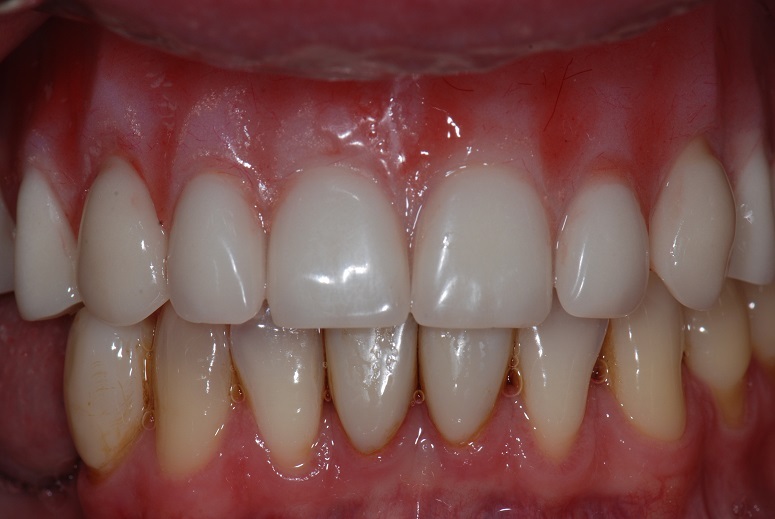 These removable dentures fill gaps and create the appearance of a full smile. Partial dentures are made up of artificial teeth attached to an acrylic base and a clasp or a metal framework. The clasp and base work together to hold the prosthetic in place. We offer a variety of partial denture materials to choose from, including durable and economical cast metal to advanced modern thermo plastic technology. Implant-Supported Dentures: An implant-supported denture uses implant posts as anchors for a full-arch or partial prosthetic. Implants work as attachments for the denture, creating a sturdy framework and minimizing deterioration of the jawbone. Implant-supported dentures are often used on the lower jaw, where stability and resilience are principal concerns. These are a great solution for patients who are fully edentulous and meet the bone health requirements for implant placement and integration. Our in-house dental lab, allows us to craft dentures specific to each patient’s needs and shortens the turnaround time between taking impressions and supplying the permanent restoration. Along with creating dentures, we offer services to reline, repair, and replace them as needed. Ready to Take the Next Step? Contact Cyrus Bandary, DMD Today! If you're ready to have your smile restored, call our office to discuss your denture options. We will be happy to assess your dental needs and find a solution to fit your lifestyle and budget. Call to schedule your initial consultation today!